Julie Harris walks a bike — into Fred Zinneman and a steamroller. 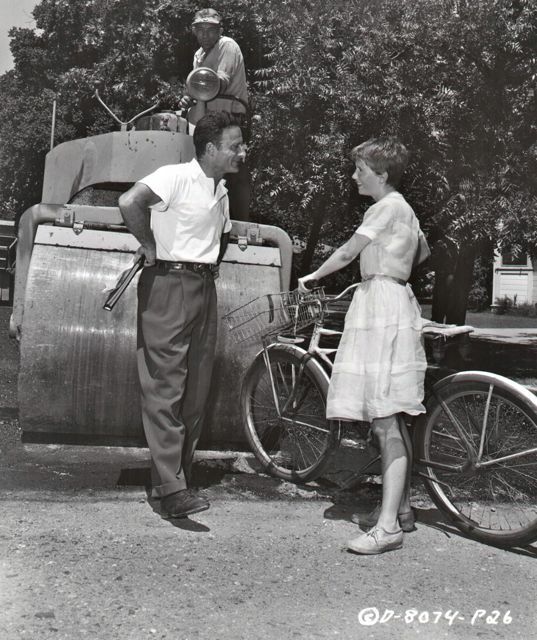 Julie Harris, stopping her bike on the small-town set of Columbia Pictures’ 1952 drama, The Member of the Wedding, to consult with director Fred Zinneman. Harris would receive a best actress Oscar nomination for her portrayal of Southern teen Frankie Addams in the adaptation of the Carson McCulllers novel. Photo: Van Pelt.